In a rare show of cooperative effort between the Los Angeles Department of Water and Power (LADWP), Friends of the Inyo and partners — Inyo County, Eastern Sierra Audubon, Audubon California, Metabolic Studio, and the Eastern Sierra Interpretive Association — the Fourth Annual Owens Lake Bird Festival from April 27-29 brought out thousands of tourists and tens of thousands local and migratory birds. The festival celebrates the rehabilitation efforts for Owens Lake, which was about 12 miles long, 10 miles wide, and an average depth of about 40 feet in 1913 when LADWP and the California State Lands Commission bought up the land and the river and stream water rights that fed the lake to begin diverting water into the Los Angeles Aqueduct to green Southern California. The lake shrank quickly, and by 1926 was essentially dry. LADWP is still importing about 50 percent of the 4.3 billion gallons of water its customers consume annually, but it began a restoration effort in 2004 when the California Department of Fish and Wildlife acquired 218 acres at the foot of Owens Lake that was one of the few remaining spring and wetland areas on the shore. Three years later, it was designated as the Cartago Wildlife Area. 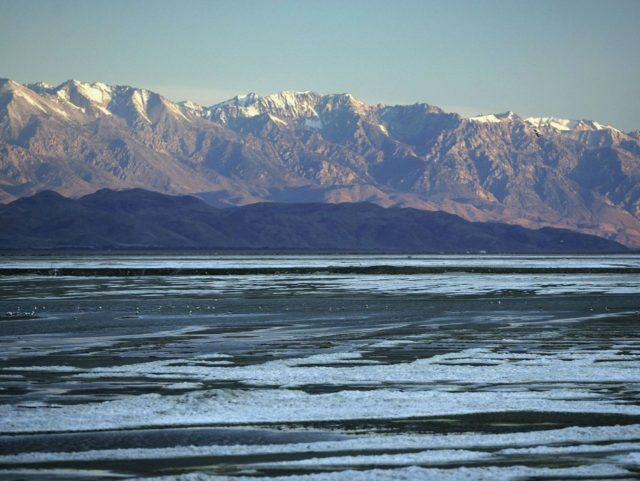 Owens Lake was the largest single source of U.S. dust pollution in 2013, despite LADWP having flooded 27 square miles of the dry lake bed and planted 3.5 square miles of native salt grass to control alkali dust storms. The annual Bird Festival was launched in 2014 to celebrate Owens Lake’s restoration progress. It follows the bird count that takes place on the last Saturday of March. This year’s count featured thousands of year-round shorebirds, such as the Western and Least sandpipers and Snowy Plovers, plus colonies of Yellow-headed Blackbird, Long-billed Curlew, and Wilson’s Phalarope. A couple thousand ducks and about 300-400 Snow Geese that winter in the restored Owens Lake wetlands were still in residence this year. An estimated 63,000 American Avocets will stop at the lake during their fall migratory flight south.